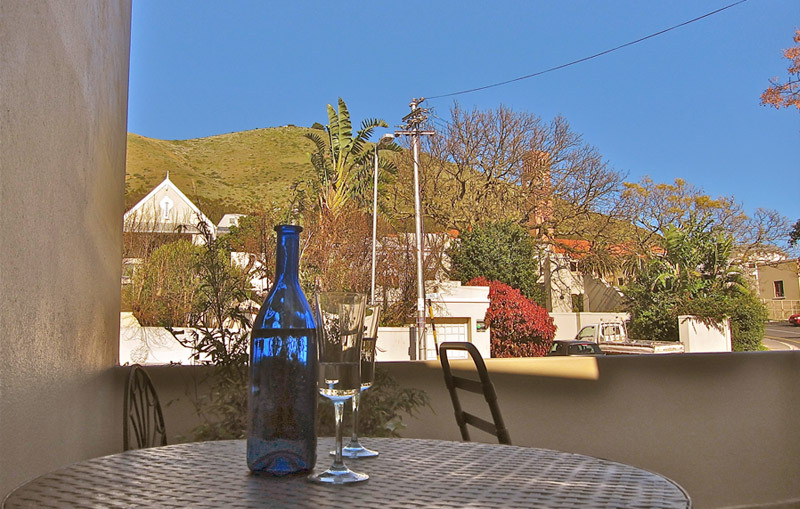 Balcony Room: on the mid-level of the stairwell you walk straight into a stunning view of Signal Hill. 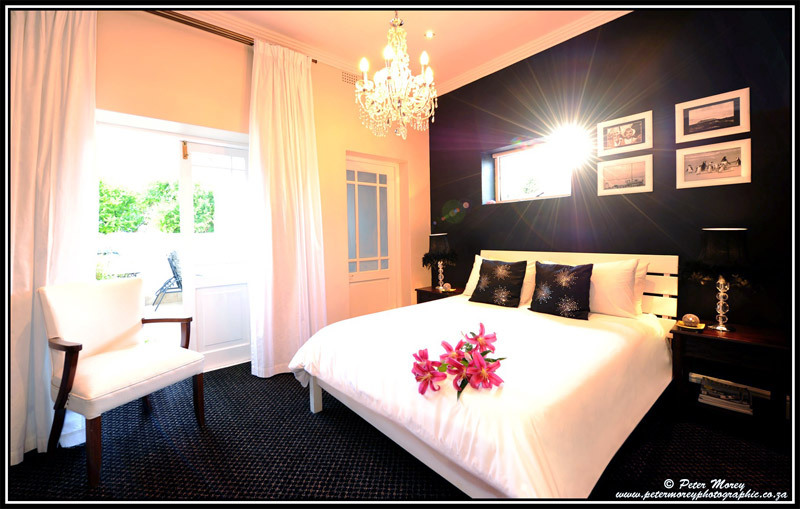 This modern charming and romantic cozy room is a delight. Plush soft carpets block out curtains, a queen size sleigh bed looking up at French chandeliers and a gilded mirror make this room one of our most popular choices. The modern bathroom has a shower and heated towel rails. The spacious balcony is a superb place to relax on the sun chair or even have your breakfast there if you desire. Other features include percale linen, Free WiFi, a security safe, an overhead fan and electric blankets, ample plug points, heated towel rails and a small love couch too!